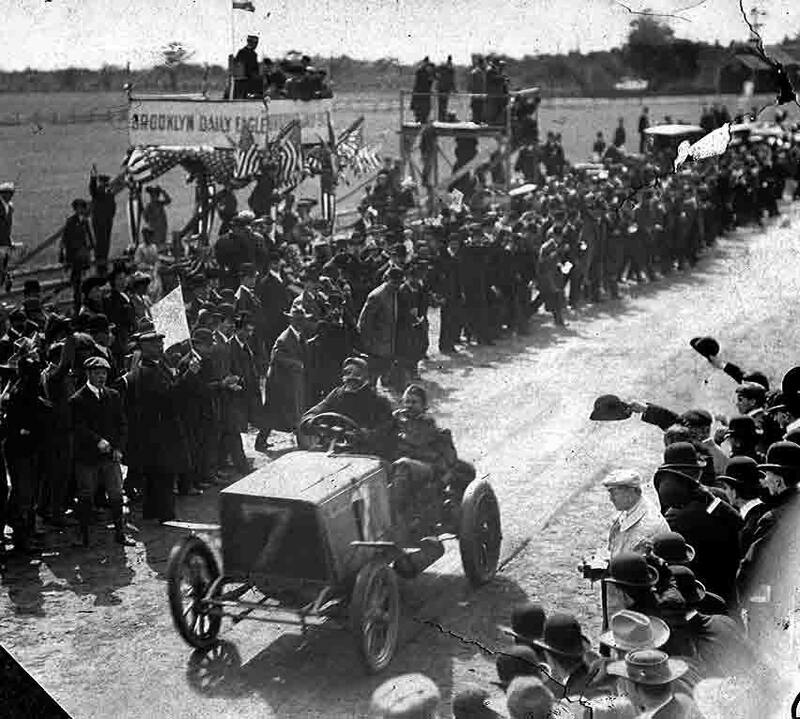 The recent AmeriCarna "Vanderbilt Cup" episode focused on the six Vanderbilt Cup Races held on Long Island and the Vanderbilt Cup trophy. 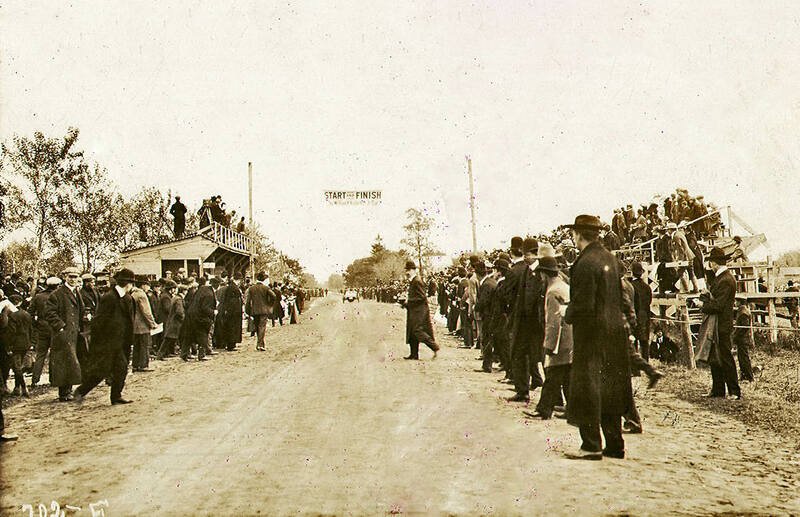 This two-minute segment features a trip to Jericho Turnpike in Westbury- the location for the Start/Finish Lines, grandstands and officials' stand/press box for the 1904 and 1906 Vanderbilt Cup Races. The Vanderbilt Cup episode will be repeated throughout this spring and summer . On Long Island, Velocity Channel's AmeriCarna series can be seen on Cablevision's #27 and #727 (HD Channel), DISH Network #246 and Direct TV #281. The next repeat will be shown on Sunday, May 18, 2014 at 12:00 pm. 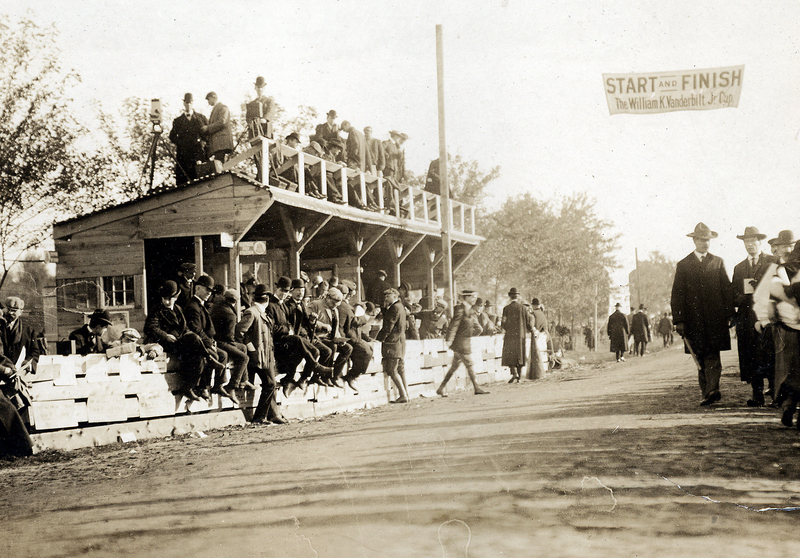 A view of the grandstand and officials' stand/press box. Looking east down Jericho Turnpike. Note the film camera on top of the press box. 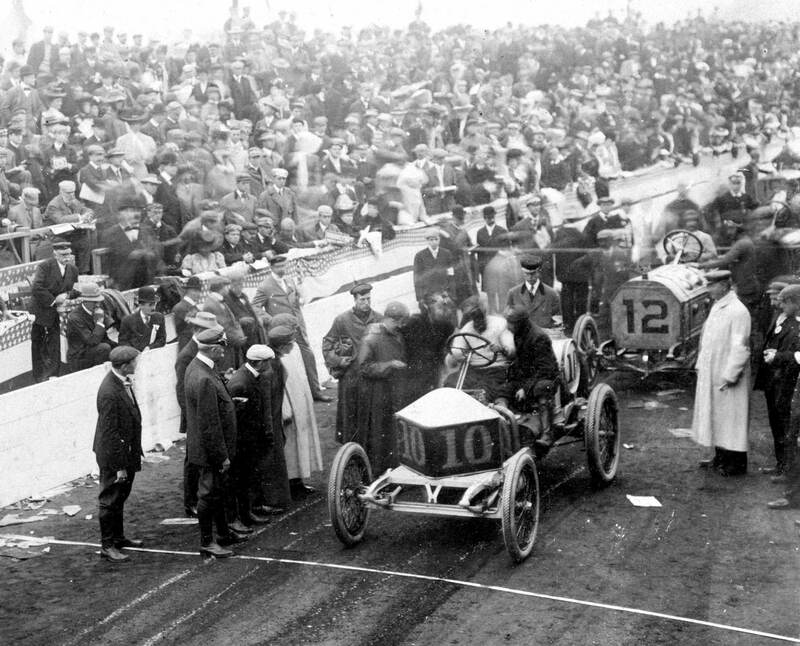 #10 Darracq at the Start Line. 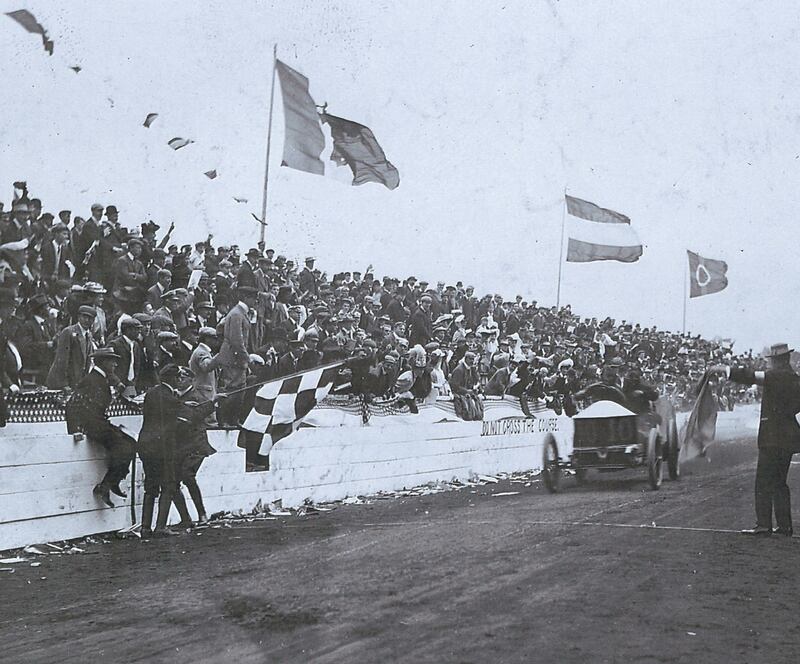 The Darracq winning the race marked by the first use of a checkered flag. 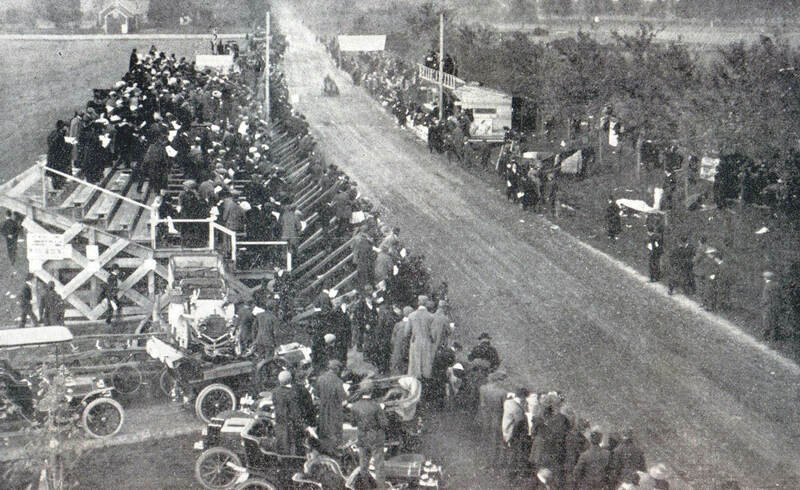 Grandsatnd crowds empty onto Jericho Turnpike after the race. 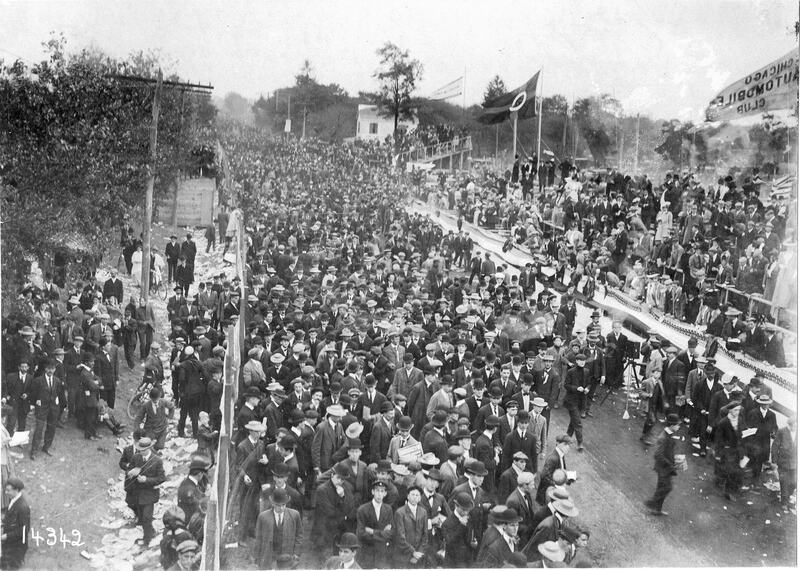 Hi Sam, the sections of the villages of Old Westbury and Westbury north of Old Country Road and approximately west of Cantiague Road are all in the wonderful Town of North Hempstead including the grandstand location on Jericho Turnpike.